I am seriously having a love-hate relationship with Mamonde Creamy Tint Color Balm Intense. I bought 6 colours of Mamonde's balm collection from Althea; No.24 Nectar Coral, No.22 Dandy Coral, No.21 Red Soul, No.19 Blood Orange, No.23 Brick Rose and No.25 Rosy Silk. The reason why I bought that many colours was simply because it was my birthday haul from Althea and also I had high hopes for Mamonde's Creamy Tint Color Balm Intense series. The colour looks amazing on the website and they do too in real life! So, what's the problem you ask? Well, just one, I am not really a fan of the texture that it has while applying. You know how balms are meant to be balmy? Let's just say it doesn't feel balmy at all...at least in my opinion, that is. It isn't that creamy either, but rather almost matte-like texture. Velvety yes! Creamy no! From my experience, creamy lip products tend to effortlessly glide on your lips, however, the same can't be said for Mamonde's balm line. Don't worry, it doesn't dry up the lips nor does it look caky. It's just that I was anticipating a different texture, so...I was a little bit disappointed of its actual texture. 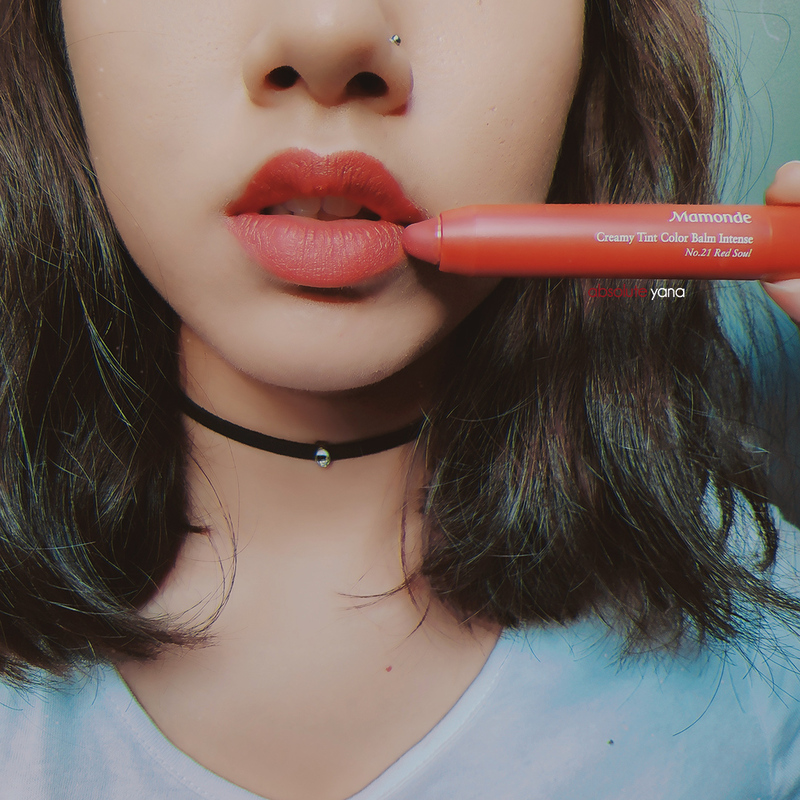 But what I really love about Mamonde Creamy Tint Color Balm Intense is the No.21 Red Soul. I am absolutely loving its shade of red. 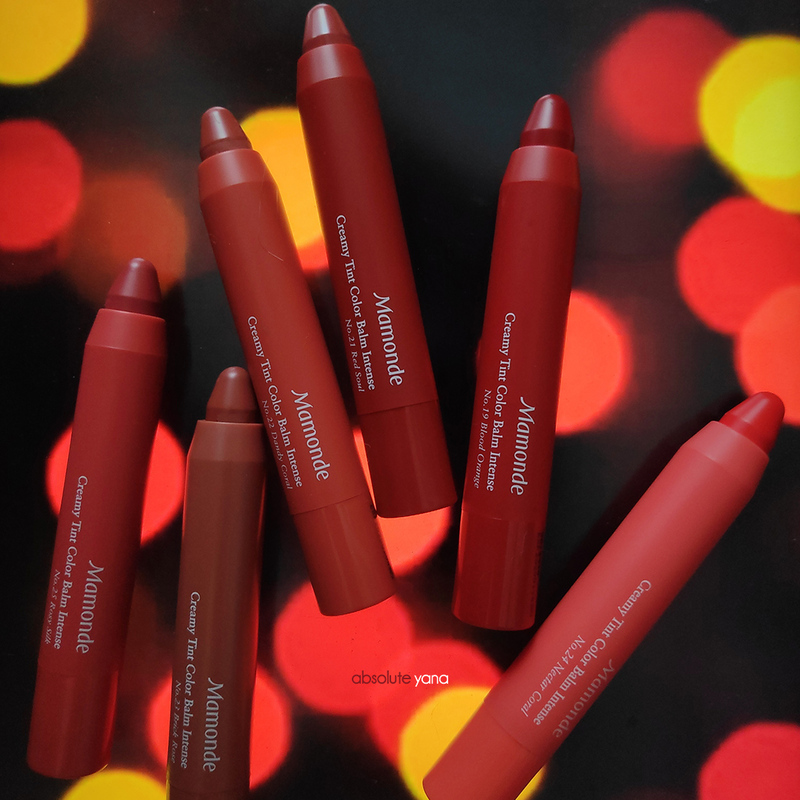 Sometimes, a certain colour can be overwhelming when applied, but since this is a tinting balm, it gives just the right amount of pop (intensity) of colour! This shade really saved my birthday haul; so much so that I didn't feel awful for getting something that didn't meet my expectation. Well, it's a small matter if you come to think of it. It's just the texture that threw me off, but the colours are simply lovely. 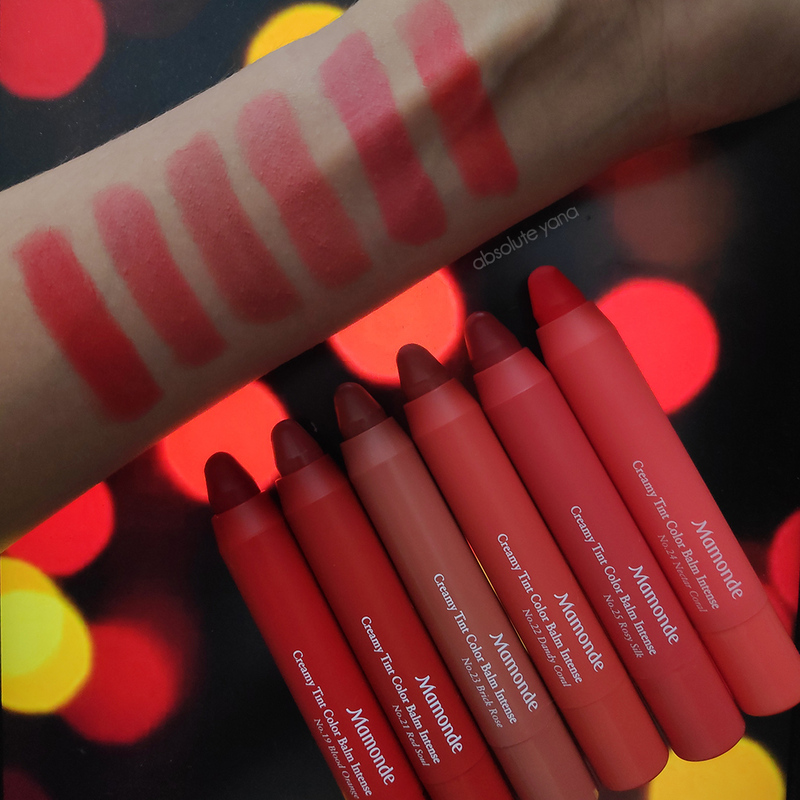 If you love the colour Red, then I don't see why you shouldn't get yourself a whole bunch of Mamonde's Creamy Tint Color Balm Intense. Oh! And this series is also a big plus point for those who are into the I-Love-Everything-Matte craze and love velvety products. As I mentioned in the beginning, I bought mine from Althea; each stick costs RM29.00. If you'd like to try them out or if there's a certain colour in here that you fell in love with, then you too can get them. Do share with me, your experience of using any of Mamonde's products in the comment box below, I would love to try them out too. See you in the next beauty post! Always remember that you are beautiful too!